is the chief curator and director of The Petach Tikva Museum of Art in Israel. She is Founder of the renewed Petach Tikva Museum of Art as a museum of contemporary art and founder of SPOT – The Film & Media space of the museum. She involved in international project around the world and being invited to curate regularly. Gur Arie is a lecturer and member of the admission committee at the Museology division (post- graduate program), department of Art history, Tel Aviv University and in the Department of Cultural Studies in Sapir College. She has been acclaimed by The British Magazine Monocle as “Best Curator” in the international museum report. 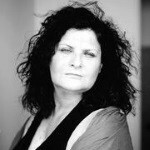 In 2012 she was chosen by Forbes among the 10 leaders in the Israeli Art Scene and at the same year she won the Curator of the Year by The Ministry of Culture and Sports, Israel. is a long time successful entrepreneur currently launching a Search Fund, an innovative entrepreneurial vehicle. During his career Romanelli ran his family’s wine tool manufacturing business, managing growth and expansion for more than 10 years. Later on, he was recruited to Silicon Valley to be a project manager in Makani Power, a renewable energy startup which was later acquired by Google X. Romanelli then co-founded an engineering consulting firm in San Francisco where he advised startups, incubators, and leading high tech companies, such as Autodesk and Google, in long-term projects planning and implementation. 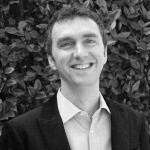 Romanelli is an MBA graduate from IE Business School in Spain as well as a Master in Mechanical Engineering from University of Bologna, Italy. is an Israeli poet and author. Adaf is one of Israel most important authors; his first book of poetry, Icarus’ Monologue, won a prize from the Israeli Ministry of Education. 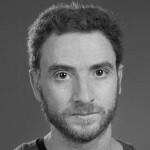 He is an author of eight novels and three books of poetry, head of the creative writing program at Ben Gurion University in Beersheva and the 2013 winner of Israel’s prestigious Sapir Prize for his novel Mox Nox. In 2014 Adaf appeared on The Guardian’s list of best science fiction for 2013, alongside Stephen King and Margaret Atwood. In his work, he often examines the methods of manufacturing artistic and scientific metaphors to human experience.